Strengthens and supports hoof structure to improve health and shoe retention. 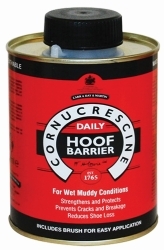 Ensure the hoof is clean, dry and free from oils & greases. 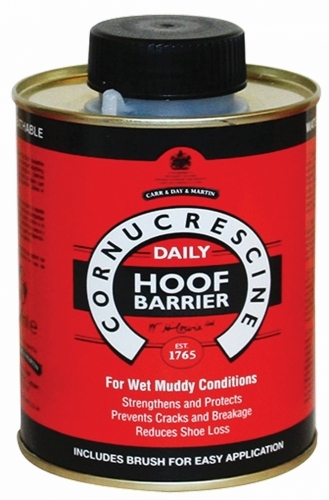 Apply with internal brush to the hoof wall below the coronet band, including the sole, frog and heel if desired, on a daily basis. Ideally, use before exposure to wet or muddy conditions. Dries in minutes, with a nonsticky, clear finish. E3 Penetrating Hoof Oil - 32 oz.